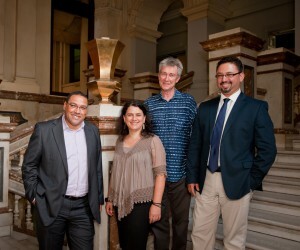 Cape Town, already gearing up for World Design Capital (WDC2014) next year, has concluded another creative coup: it will host the third Creative Economy Conference 2013 and the fourth Arterial Network Biennial Conference from 6 to 9 October 2013. The event should attract more than 300 delegates from around the world, including visitors from at least 40 African countries. It will be held in the City Hall with a parallel programme celebrating African creative industries. These will include music, theatre, dance, film, fashion, visual arts, design, literature and cuisine, mostly taking place in the East City district – The Fringe – deemed to be Cape Town’s cultural and innovation precinct. With research revealing that Africa’s share of the global creative economy is less than 1%, the conference aims to focus attention on the continent’s creative industries - not just as economic drivers, but also to highlight their potential contribution to the eradication of poverty, to democracy and to human rights. The Cape Craft & Design Institute (CCDI) submitted the successful bid to host the conference, and will be the primary implementing agency. The bid was co-ordinated by the Conventions Bureau and Event Support Division of Wesgro, the Western Cape’s investment and trade promotion agency. The conference will take place under the auspices of the Arterial Network (a network of individuals, organisations, donors, companies and institutions engaged in the African creative and cultural sector). 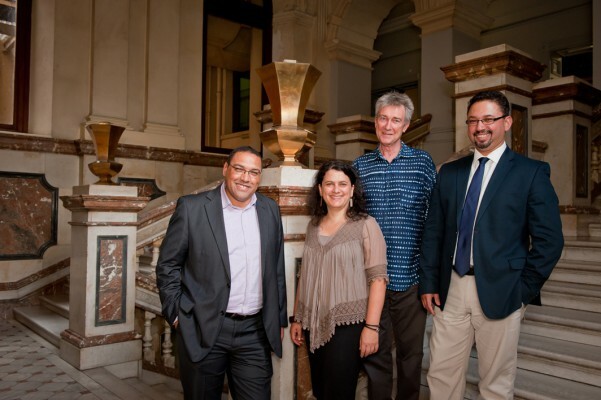 CCDI executive director Erica Elk said: “We are very pleased to have won the bid to host this event and we hope it will catalyse a number of annual events that will enrich the quality of and diversity of cultural experiences in our city. First held in Nairobi in December 2011, the conference rotates from region to region, with Cape Town being the southern African host after the second conference was held in Dakar in November 2012. The 2014 conference will be held in Casablanca, Morocco, with Central Africa playing host in 2015. Cultural practitioners and organisations who could contribute to the range of parallel programmes aligned with the African Creative Economy conference, are invited to a briefing at 12:00 for 12:30 (until 14:00) at the CCDI Creative Enterprise Training Unit (second floor, Harrington House, 37 Barrack Street, Cape Town) on Monday, 25 February at 12:30.